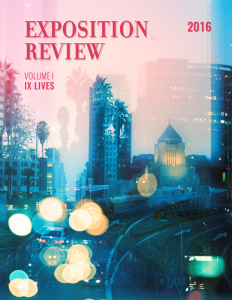 Exposition Review is an independent, multi-genre literary journal that publishes narratives by new, emerging, and established writers in the genres of fiction, nonfiction, poetry, stage & screen, experimental, art & photography, and comics. Founded by the alumni of University of Southern California’s Master of Professional Writing Program, Exposition Review creates opportunities for writers and artists to share their voices through our annual online issue and Flash 405 writing competitions as well as through our #ExpoPresents series of events, which includes staged readings, panels, and our signature micro-workshops in locations throughout Southern California. We develop new projects and events to benefit the Los Angeles literary community and also publish the podcast Two Writers Walk Into a Bar… and the Expo Blog. Before submitting, please first read our Submission Guidelines. 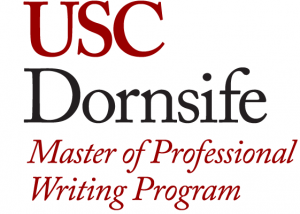 Founded by the alumni of the Master of Professional Writing Program at University of Southern California, Exposition Review maintains the multi-genre tradition and spirit of MPW and its literary journal, the Southern California Review, after the program closed its doors in 2016. Exposition Review is the result of hard work of MPW’s last graduating class, alumni, and former faculty as well as many former Southern California Review editors who came together to make sure this amazing community of writers and artists would live on beyond the program that brought them all together.